The only Arctic-focused museum in the United States, the museum was established in honor of Bowdoin alumni and Arctic explorers Robert E. Peary (Class of 1877) and Donald B. MacMillan (Class of 1898). Its collections are built around material gathered by MacMillan during his long career as an explorer and educator, as well as collections made by alumni, faculty, and students who explored the Arctic as far back as 1860. The Museum presents changing exhibits on different aspects of Arctic life, past and present, drawing from collections that include ethnographic and historic artifacts, contemporary arts and crafts from across the North American Arctic, as well as over 20,000 images and motion picture films. A permanent exhibit explores Peary’s North Pole Expedition of 1908-1909. 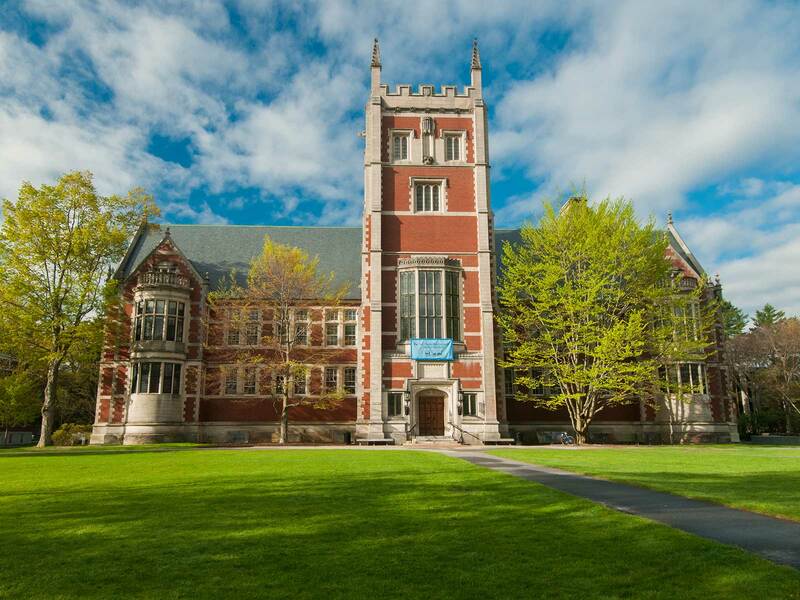 The museum is located in Hubbard Hall (built and named after General Thomas H. Hubbard, one of the financiers of Peary’s expeditions) on the Bowdoin College campus, and is open to the public daily except Mondays and holidays, free of charge. Image courtesy to the Peary–MacMillan Arctic Museum, Brunswick.